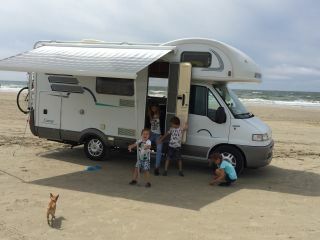 The camper is equipped with a complete inventory, so you can almost immediately on vacation. 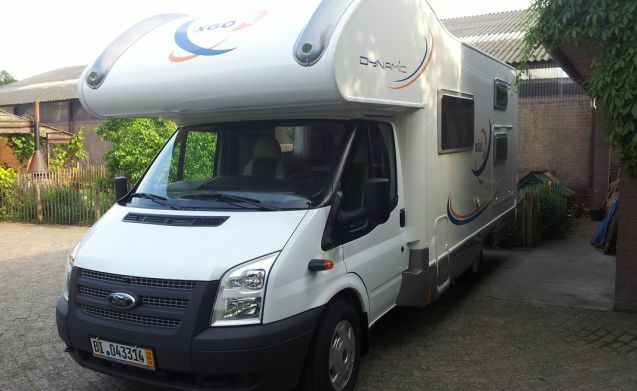 The camper was built in Italy in the Rimor factories and stands on a Ford chassis with the latest technology. The camper has a six-odd gears. This ensures that the engine runs smooth and quiet, even at higher speeds. The motor meets the EURO 5 standard, making it possible to drive in German cities with so-called environmental zones that have a Umweltplakette is required. 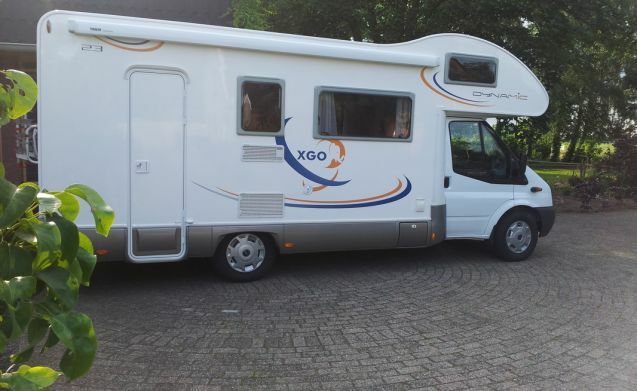 In the camper is located at the rear toilet and shower and a bunk bed (1.855 m and 0.685 m wide). 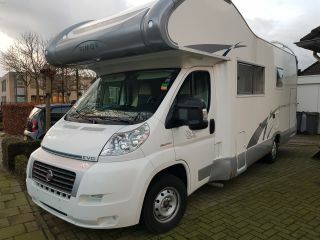 The kitchen has a three-burner stove, a refrigerator with a capacity of 100 liters and a boiler which provides hot water and also the (thermostat-controlled) heating the camper. In the cupboards there is sufficient space for food and luggage. 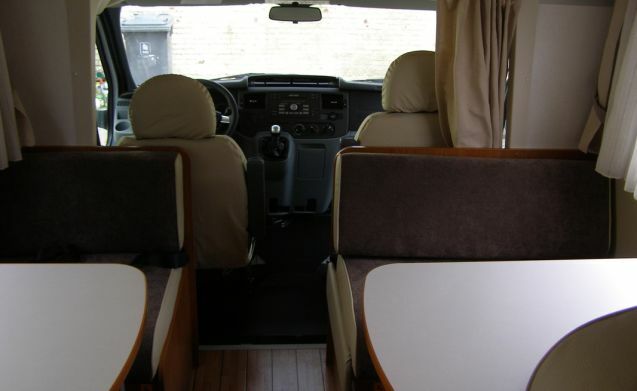 Central to the camper, the two dinettes (a two-seater and 4-seater), the two-seater is to build up bank. The latter depends on the required number of seats and of the table space that is desired. 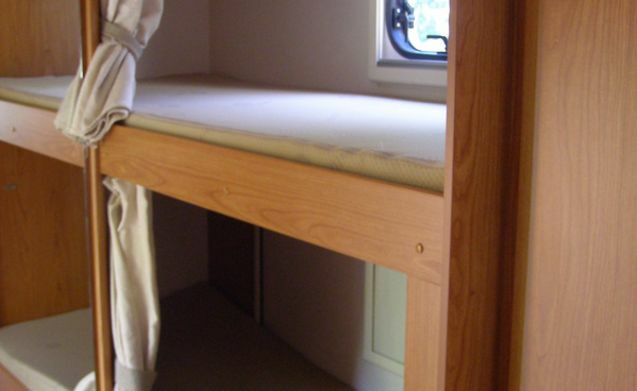 The dinette is convertible to respectively one (1.88 m long and 0.64 m wide) and 2 double bed (1,88m long and 1,25m wide). Upstairs in the alcove is a two-bed (2,10m long and wide 1.47 million). 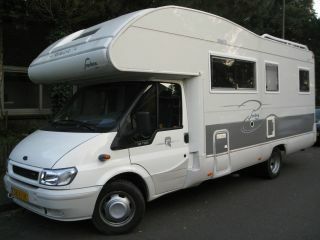 Also in the middle section of the motorhome is enough storage space available. In the camper is a drinking water tank with a capacity of 100 liters. Because these tank located in the camper, the water in the winter can not freeze. Among the camper to the waste water tank is set with a capacity of about 100 liters.